Dr Shilpa Apte having rich experience of 17 years in OBG. She is Specialized in High Risk Obstetric, Infertility and Gynaecology procedures. If someone was to ask me about the most memorable event in my life, I think that like a lot of women, I would have to say that it was the birth of my child. Apollo Cradle is excellent when it comes to providing quality health care. Along with my doctor, Shilpa Apte, the nurses and the staffs were truly assistive. In terms of hospitals, this was so far the best one I came across. I highly recommend it. The only reason why I visited Apollo Cradle for the second time was because of the people and the super helpful and supportive staff and nurses. Shilpa Apte was a true assistance throughout and I had one of the best experiences. I would like to thank the staff for all you have done for us. You have been a great help. I will definitely recommend to my friends and family members. The overall experience I had in Apollo Cradle was worth every penny I spent. 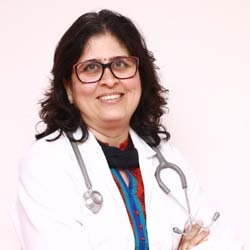 The care and support I was offered by Dr Shilpa Apte was not only appreciable but recommendable. I was admitted to Apollo Cradle for my delivery and along with my family and friends, I was very lucky to have the full support of the staff members as well. I couldn’t thank Dr Shilpa Apte enough for being by my side throughout the procedure of my delivery. The team also made efforts and looked after me so well. I felt very focused and in control of the situation. As a lady, I feel Apollo Cradle provided me with the best experience of a motherhood. I am definitely recommending Apollo Cradle to all the ladies out there. I visited the Apollo cradle, Koramangala for my delivery in August under Dr Shilpa Apte. While admitting the PRO wasn’t able to explain the packages and kept us waiting. Though the front office team was very well coordinated and admitted on time. Although the nursing staff did not provide satisfactory services, the doctors were very attentive even after the delivery. There were some delays during discharge, but other facilities like food, cleanliness of washrooms and maintenance of rooms were good. I am from Bellandur and was admitted to the Koramangala clinic for my delivery under Dr Shilpa Apte. I will recommend this clinic to all my relatives because it does what it promises. The nurses give the best possible care and attention and the doctors provide the best treatments. The front office staff is very supportive and admission and discharge formalities were completed on time. The food and cleanliness of the premises are also amazing. Very impressed.
. I contacted the Koramangala clinic after a friend referred me. The PRO explained us the packages very nicely, but the front office team didn’t have much knowledge. Hence, admission got delayed. Dr Shilpa and her team did a commendable job in taking care of us with utmost care and attention. The overall infrastructure is good, but the food from the menu is not readily available. Given these points, I will still recommend to my friends. I am a repeat patient and I first got to know about the Apollo cradle, Koramangala through a friend. I was admitted for delivery and stayed in Single Deluxe room. The PRO was available and had adequate knowledge. The front office team had a sound knowledge and guided us well through admission. The team of Dr Shilpa Apte and nurses were very efficient and I was discharged on time. The sisters from all the shifts are very prompt, caring and cooperative. Excellent service. The housekeeping staff too is excellent. They kept the room neat and clean at all times, and gave us a prompt response whenever we buzzed. I have to mention my consulting doctor\’s name, the reason we came to Apollo Cradle. Dr. Shilpa Apte is the best doctor I have had the pleasure of meeting. Thank you to everyone. Thanks for delivering a healthy daughter for us. We are really thankful for team Apollo Cradle, Koramangala, the doctors, nurses and housekeeping was very supportive. We had a pleasant experience delivering. We would like to thank you for the wonderful experience at Koramangala Cradle, the doctor the sister were very Patient with us, everything was so well taken care off no mother how many every times we called them they were here in about 30-40 sec\’s. A big thank you, we were blessed to get her as our doctor (god bless her). Glad to know the management is doing a super job. This shows that management is always looking at ways to improve..
Dr. Shilpa Apte and team of nurses have made my stay very memorable; amazing experience @ Apollo Cradle, Kormanagala ; Special Thanks to Dr Avinash and Dr Shilpa Apte; Thanks to team once again. Services, staff and Facilities were very good at Apollo Cradle, Koramangala. Food was equally good. Follow up, nurses were at their best. Personally, we have observed that even being so busy during their shift; they gave their best in handling the patients. Above all, many thanks to Dr. Shilpa Apte for being so understanding throughout my maternity period and delivery. She has been very calm, nice & understanding, gives really personal care to each & every patient. Apollo cradle is doing a good job. Keep it up. We are very happy with the excellent services & Apollo Cradle Jayanagar facility. I would like appreciate Ms. Poulami, PRO for have excellent co-ordination & support provided and service of all nurses and Housekeeping was excellent. It has been a wonderful experience at Cradle Koramangala. Throughout my pregnancy and then the delivery period I have been relaxed because of the kind of attention and co-operation of the staff. Thank you for making my first time mommy experiences such a pleasure. Thanks to my doctor.